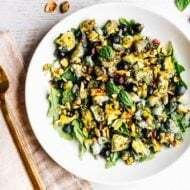 As the founder of the #saladeveryday movement, (very official title and very official movement…) I had the grand idea of writing a blog post about how to buy and store salad greens to keep them fresher, longer. 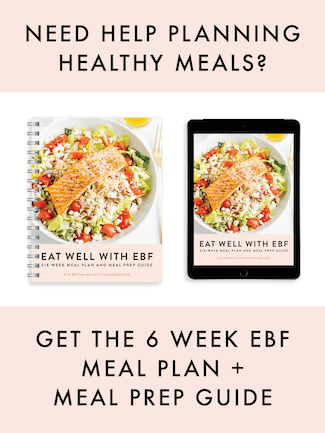 This used to happen to me weekly: I’d buy a bunch of greens, inspired to make salads galore and then by the end of the week my greens would be soggy and less than appetizing. Thankfully, I’ve picked up a few hacks along the way that help to keep this from happening anymore! Do you need to buy organic greens? I try to always buy organic when it comes to greens Both spinach and lettuce are on the list of produce with the most pesticides so organic is ideal. If your budget doesn’t allow or your grocery store doesn’t have any in stock, remember that buying and eating some sort of green is still better than none at all! What kind of greens should I buy? I’m sure you noticed that you can buy greens in so many different ways — greens come in bulk (loose leaves), in heads or bunches, in bags and in small or large plastic (clam-shell) boxes? So many choices, right? You really can’t go wrong with any of these options. 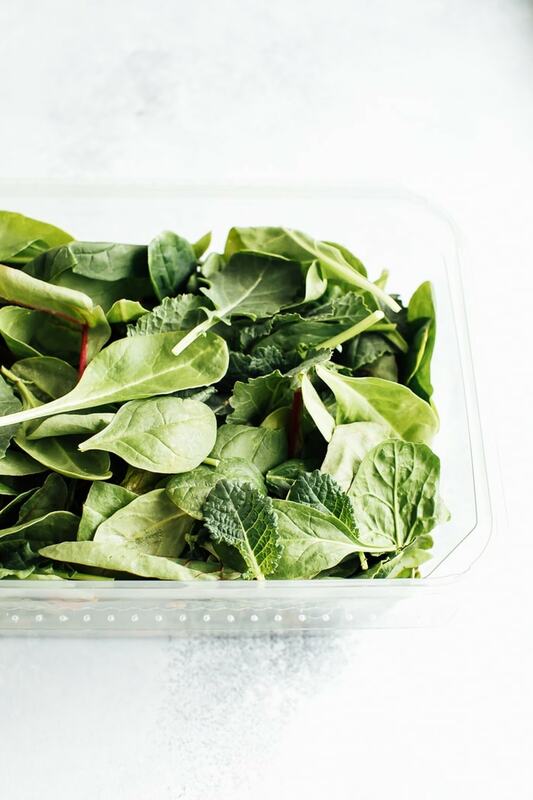 Boxed and bagged greens are super convenient because they’re already been washed, but they’re more pricey and the extra packaging can be wasteful. That said, I tend to gravitate towards buying the large clam-shell boxes because it’s the perfect amount of greens for a week and they tend to stay fresh . The biggest tip starts at the store — simply avoid any wilted, soggy greens or packaging that has a lot of condensation. Because I’m a salad feen, I typically buy at least two types of greens to get me through the week. If you aren’t used to buying greens regularly, just start with one! Do I have to wash my greens? I wash any greens I buy from the bulk bins because gritty salad is plain gross (been there, done that)! The easiest way to wash greens, in my opinion, is to use a salad spinner. Either rinse or soak your greens in water, swishing them around to get all of the grit off, use the interior basket of your spinner as a colander and then spin your heart out! I usually try to over-spin (which isn’t possible by the way) because when it comes to greens, dryer is better. Once the greens are dry you can use your salad spinner as as storage container. The greens will sit in the spinner’s basket, allowing any excess moisture on the leaves to drip to the bottom of the container, which isn’t touching the greens. Most bagged and boxed greens have already been washed so they’re no reason to wash them again. If you buy packaged greens, just check the package. It will say if they’ve been washed already or not. Now what about keeping those greens fresh once you buy them? We’ve all been in that position where you’re so proud of buying lots of produce and then three days later it’s soggy and smelly. 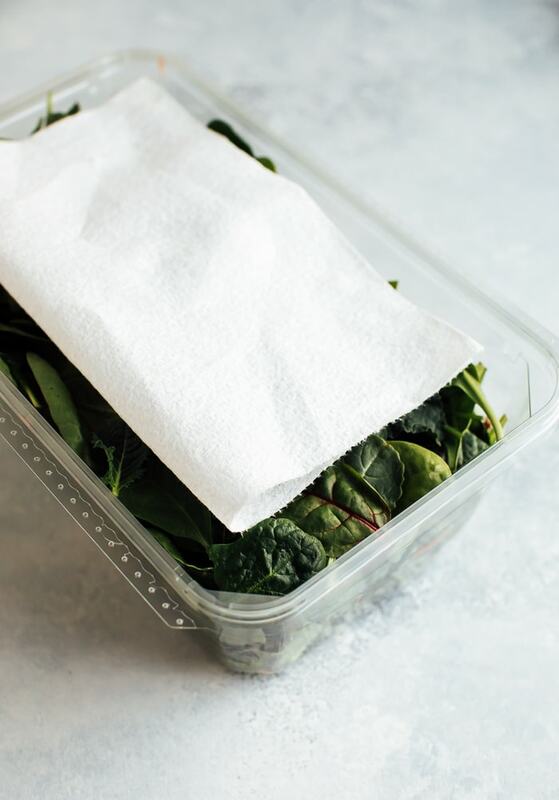 My #1 hack for storing greens is to dry them well (if you’re washing them before storing) AND to put a piece of paper towel in the container with your greens! This absorbs the excess moisture and keeps the greens fresher, longer. 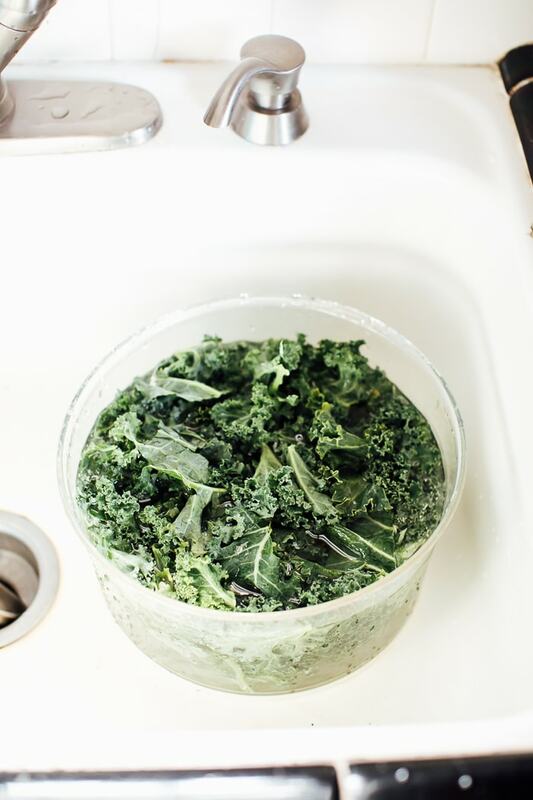 If I buy a large plastic tub, I’ll usually put a dry paper towel in the with greens and store the container upside down in the crisper drawer. 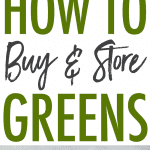 Do you have any other questions about buying and storing greens? 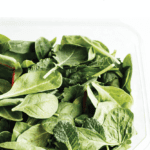 What are your storage hacks for keeping greens crisp and fresh? 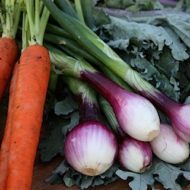 A Guide to Eating Seasonally – What’s in Season When?